Little Rainbow — other woodwind with piano Brian Brown and Bob Sedergreen Brian Brown, Bob Sedergreen 2 mins, 24 sec. Midnight Ghost — duos: saxophone, double bass Barry Buckley and Brian Brown Brian Brown, Barry Buckley 4 mins, 59 sec. Mr. Speer for small jazz ensemble Brian Brown Brian Brown, Bob Sedergreen, Geoff Kluke, Virgil Donati 3 mins, 6 sec. The Old Stockrider for chamber ensemble Brian Brown Brian Brown, Nehama Patkin, Chantal Brown, Katya Brown, Dur-e Dara 10 mins, 59 sec. 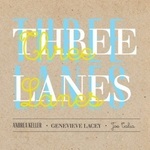 Sawade — other woodwind with piano Brian Brown and Bob Sedergreen Brian Brown, Bob Sedergreen 1 mins, 39 sec. Spacewalk for small jazz ensemble Brian Brown Brian Brown, Bob Sedergreen, Geoff Kluke, Virgil Donati 2 mins, 22 sec. 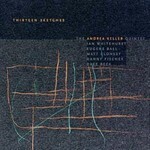 Waterfall — other woodwind with piano Brian Brown and Bob Sedergreen Brian Brown, Bob Sedergreen 3 mins, 18 sec. 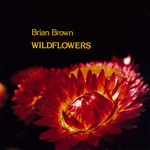 Wildflowers for small jazz ensemble Brian Brown Brian Brown, Bob Sedergreen, Tony Gould, Stephen Hadley, Alex Pertout, Chantal Brown 10 mins, 38 sec. Also includes: Bewitched / Rogers and Hart. Brian Brown's musical career started by replicating America's ferociously driving hard bop jazz style of the 1950s in mild-mannered Australia. 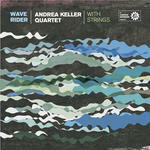 He moved on in an attempt to make modern jazz that escaped the thrall of the American model. There is amazing variety on this CD - lyrical romanticism, nervous discovery, delight, pathos, fast reflex responses and close interaction with different fellow musicians. 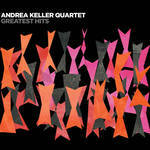 CD: Greatest hits / Andrea Keller Quartet.